The IBM Option 3549 with part numbers 00Y2684, 85Y6274, 00L4568, ST9900805SS, HUC109090CSS60, ST900MM0006, HUC101890CSS20 & ST900MM0168 is a 900GB 10K RPM 2.5 Inch SAS 6.0Gbps hard drive for use specifically with IBM Storwize V7000 and Storwize V7000 Unified Disk Systems. Whether you’re upgrading your IBM enterprise storage or simply looking for a replacement hard drive, we have what you need. If you don’t see the part listed that you’re looking for, please use our Contact Us form; as we have many parts in inventory that are not listed. Please note that all IBM hard drives sold by SPS Pros are used / refurbished, fully-tested, and backed by a 60 day warranty. 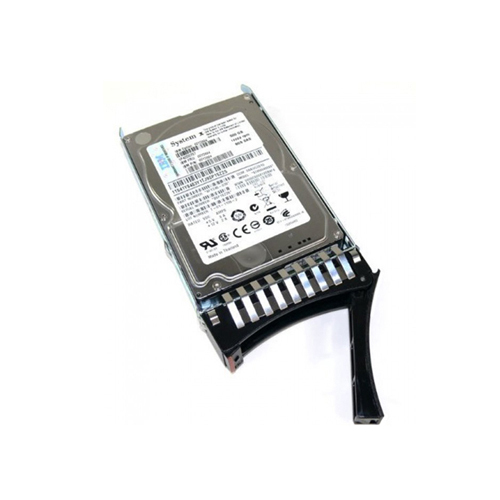 The IBM 00Y2684 900GB 10k SAS HDD is also known by part numbers 2076-3549, 85Y6274 and 00L4568. The first SFF drive platform to offer four capacity points on a single SFF platform. This drive enables OEMs, system builders and end users to improve storage efficiency by providing up to 900GB in a single drive, helping data centers manage more data without increasing the number of drives, all while increasing sustained data rates by 18% (over previous generation) and maintaining favorable power consumption rates. IBM 00Y2684, 2076-3549 delivers a massive 900GB of storage space and enabling lower total cost of ownership for many enterprise environments, especially networked storage arrays. When faced with space and power limitations, the IBM 00Y2684, 2076-3549 is an efficient solution for online transaction processing, intensive data analysis and multi-user applications. First SFF drive to offer four capacity points on a single platform. Industry-leading 0.44% AFR for field-proven reliability. Drive to host SAS interface that supports up to 6 Gb/s burst rate. Drives are SAS interface dependent. IBM Storwize V7000 and Storwize V7000 Unified Disk Systems. 24 bay models of Storwize V7000 enclosures: 2076 Models 124, 224, and 324. (2076-124) 24-bay V7000 Control Enclosure, (2076-324) 24-bay V7000 Control Enclosure, (2076-224) 24-bay Storage Enclosure Expansion.